When most people hear the words “parental controls,” the first thing that comes to mind is adult content and pornographic filters. But these days, parental control software is so much more. Old parental control software was little more than a black-list of domains and IP addresses to dirty sites to keep kiddos from searching for adult content. But over the years, parental control software has evolved to enable parents to control just about every aspect of their child’s web browsing experience and can even set time limits to prevent their kids from turning into smartphone zombies. Some of the features are for safety, such as a tracking feature that plots your child’s smartphone’s position on a map. These days, parental control and big brother software is, and I hate to make this comparison, essentially like legal spyware that can be used to monitor underage persons. If you’ve got young kids, it makes a lot of sense to follow their text messages, phone calls, and online activities to make sure some creep isn’t trying to take advantage of them, sell them products or kidnap them. Furthermore, they can be used to censor profanity from web pages to protect their innocence. The list goes on, and there are a lot of cool features that wouldn’t have been possible even 10 years ago. But how do you know which parental control application is the best for your children? Like any other software market, the parental control software niche is littered with competitors. To help you decide before selecting the best software, today we’re going to take a closer look at Net Nanny and Qustodio to see which one provides the best value. So, let’s get started with a pricing comparison. I think that the one device plan is a bit of a ripoff. Sorry to be so candid, but I imagine most parents, even if they only have one child, have more than one device to secure. And $39.99 is somewhat costly for just protecting one device. The five and ten device plans offer much more significant savings and will be able to lock down all of the tablets, smartphones, and computers in your home to prevent your children from seeing and doing things online that are inappropriate for their age. First off, note that Net Nanny does have a free trial that is fully featured and doesn’t have any of the standard watered down limitations as other free trials. However, the catch is that it cannot be used indefinitely. Instead, it can only be used for fourteen days, which most would agree is plenty enough time to test out a parental control application. Furthermore, Net Nanny has a well rounded and robust set of features that will help parents protect their children from a wide variety of adult content. The core feature, of course, is the Internet filter. And I like the way the Internet filter is laid out. It’s simple, intuitive and easy to use. Instead of challenging lists of domain names that are a pain to configure, the software uses a GUI interface with four setting levels: Allow, Warn, Block and Mask for profanity. 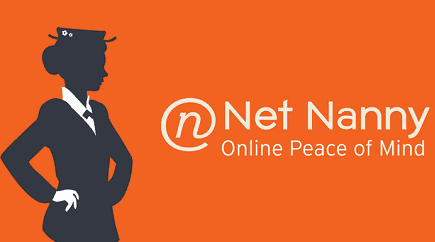 I think Net Nanny did a fantastic job of covering all the bases regarding classes and categories of content from which parents would want to shield their children. Also, there’s also a handy time management feature that helps prevent your children from becoming addicted to their computer or mobile device and spending all of their waking hours online. As a kid, I remember my parents setting time limits for how much television I could watch a week and how much time I could spend on the computer. But back then, it was a very hands-on process because parental control software was primitive at best. These days, parental control software is highly sophisticated, and can even use language tools to prevent children from reading explicit words and phrases. You never know when a blogger, despite their generally clean websites, might drop a dirty word for emphasis or intensity. With the profanity filter, bad words won’t fly under the radar and expose kids to words they shouldn’t be saying. But what good are all of these features without a way to verify that they’re working? What if your crafty child (hey, they can be smarter than most of us realize) finds a site that, for one reason or another, didn’t meet the filtering guidelines, but still isn’t suitable for young eyes? Well, to help give you the peace of mind that your children are protected from adult content, there’s a fantastic auditing and record keeping system that logs their activities. This way you can see if any warning flags were thrown as they browse the web. The software conveniently sends an email with all the logs to help you monitor your children’s online behavior. Modular and robust Internet filter with 18 different categories of control. Time management features that prevent your children from spending inordinate amounts of time online, so parents don’t have to supervise manually. Masks profanity and offensive language on web pages. Includes a record keeping and activity reporting system that sends email alerts regarding what your children see online. Remote configuration to monitor reports and change settings even if you’re not physically at home. Can create user profiles to apply the filter differently for individual accounts. Qustodio also has a great set of features, but do note that the features are tiered into packages using the “freemium” software model. The free version lacks a lot of the advanced features of the premium version. 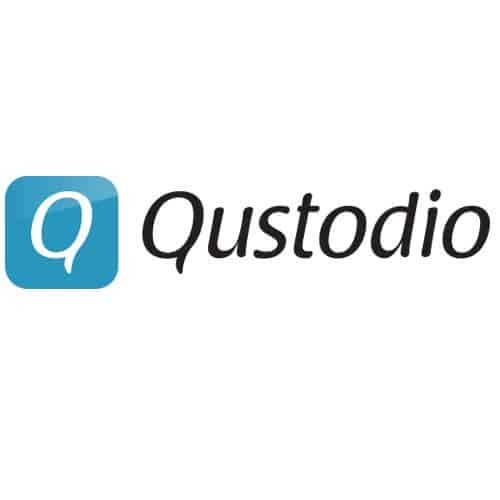 Still, I think that the free version of Qustodio does a great job of fulfilling the need of concerned parents, and can actually be used on its own to protect children. But if you want all the cool extra features, you’ll have to pay for the premium version. There are several differences between the two. First of all, although both the premium and free versions have activity monitoring features, the free version only keeps activity logs for up to seven days, whereas the premium version records activity logs for up to 30 days. The free monitoring features will keep track of which applications your kids use, and for how long they use them. And naturally, it will also keep a watchful eye on their web searches as well. Furthermore, the core of the software, in my opinion, is the ability to filter Internet content to prevent children from seeing inappropriate things online. The free version does come with a safe search and web filtering feature that isn’t encumbered by limitations. But in my opinion, the coolest feature of the free version is the social media monitoring and reporting tools, which will track Facebook and Twitter posts. Naturally, the free version does come with the ability to set time limits and periods of acceptable use to help budget your children’s time between school and time on their smartphones. And lastly, there is an online dashboard and web portal to help you make configuration changes and monitor activity even if you’re not at home. Reports up to seven days of activity log information to keep your children safe. Monitors both web searches and applications. Safe search and web filtering. Facebook and Twitter activity monitoring and reporting. Web portal and online dashboard. Speaking of the paid version, it has more features than the free one. It does have all the same features as the free version and builds merely upon those features. For instance, the reporting and logging feature is expanded to 30 days, and the social media features are extended too. The premium version can monitor photos, updates, friends and more, but the free version is much more limited. Still, I think some social media monitoring is better than nothing, and beggars can’t be choosers regarding the free version. One of the major selling points for the premium version of Qustodio is the location tracking feature. The software can use a smartphone’s GPS to pinpoint the user’s location, which is great if your kid makes a break for it and tries to run away (for whatever reason…hey, they’re kids, and sometimes they’re unpredictable). If you suddenly can’t find your child, the location tracking feature will show you their location on both iOS and Android devices. And there’s also another security feature that will give parents peace of mind: a panic button. The software adds a panic button to the child’s phone that will send location-based alerts if they feel scared or find themselves in trouble, helping the parents find them more quickly when a dangerous situation arises. Even the time limiting features got an upgrade to the premium plan and can be set on a per-device configuration. Last but not least, note that Qustodio’s premium users get priority technical support over the free users. Reports up to 30 days of activity log information to keep your children safe. Includes a scheduler to set time limits and periods when it is acceptable for a child to use a device. The schedule can be custom configured for separate devices. Blocks apps on Windows, PCs, Macs, and Android devices. Also includes a social media and Facebook monitoring plugin. Allows parents to find missing children with a tracking feature. Ability to read and block text messages. Ability to track calls and block them too. Can configure black-listed phone numbers to prevent children from communicating with undesirable or inappropriate contacts. So, which software utility provides the most value and can protect your children the best? The raise was close, but in the end, I think I have to declare Qustodio parental control to be the winner for two reasons. First of all, the free version isn’t really watered down that much and will suffice for most parents. If you’re price sensitive and don’t want to purchase a subscription, then the free version will do just fine. Besides, the premium version of Qustodio just has a lot more features. And three features, in particular, made a significant difference in my mind. First of all, I think the panic button idea was brilliant because it gives kids a way to call for help at the press of a button and willingly send their parent’s location data. Secondly, I think the location tracking feature is great too. If this technology was around 10 years ago, how many abductions would have been prevented? And thirdly, the social media tools are invaluable as well. I think everyone has read horror stories and scary headlines regarding creeps who use social media to stalk children. Most people these days don’t think twice about advertising to the world where they are, what they’re doing and other personal information. The social media tools will help monitor safety like never before. Altogether, I did like Net Nanny, but I think Qustodio is the better of the two – it’s just got better features.